Quickly Compress Outlook PST files with SysTools Compact PST Files Tool for MS Outlook 2016, 2013, 2010, 2007 & all the below versions. The software to Compress PST files effectively reduces oversized PST files by Extracting & Saving attachments and generates a Log Report displaying the status of compressed Outlook files. Easily Reduce PST file size in bulk with PST File Compact without losing or modifying any data. PST Compress tool supports Windows 10, 8 (32 / 64 bit ). PST File Compression Tool is compatible with Windows 10, 8, 8.1, 7, XP and older version. 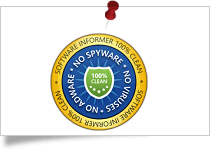 The Software Informer had given SysTools PST Compact Tool 100% safe & secure award for its excellent performance. 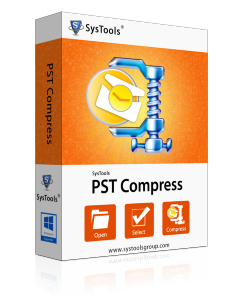 SysTools Compress PST Files application gets 100% clean award by We Suggest Software for providing Ad/Virus/Spyware free solution. 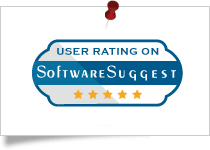 Software Suggest had given SysTools PST Compress Tool 5 star rating for being the most effective & powerful product to compact Outlook data file. An ANSI Data file that is about to reach 2 GB is a big concern as this leads to corruption. With this PST Shrinker, you can compact PST files and reduce the size so as to make it easily manageable. 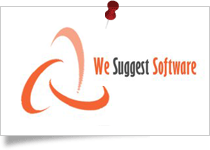 PST compact software will extract the attachment and save it as per the requirement. In order to compact Outlook PST file and compress it, the PST compaction software allows removal of attachments. If you choose this option, the software will extract attachments and remove them permanently. This will compress PST files size and remove the attachments from local machine as well. With the help of this option, you can compact large PST file without deleting its attachments. The PST File Compression Tool will extract all attachments found in a data file and save them into a separate folder. You can find the PST file size reduced to a large extent with all attachments saved in a separate folder via PST Compress Tool. Using this option you can extract and save the attachments. Besides this, you can also compress PST file attachments to minimize the size of attachments as well. The PST Compact tool will zip all the attachments that are found within a PST file. Once you start with PST file compression process, the PST File Compaction Utility will generate a complete export report to compact PST files, together with current progress status. This report includes details like: PST file name, folder name, number of mails found, number of attachments found, and so on. Step 1: Download PST Compression Software and "Add PST File"
Trial version of PST Compress tool compacts the initial 5 emails from each folder of a PST File in order to render the preview. How to Compress PST files step by step using this tool? Step 5: The software will show the status as "Compress Successfully" . Is PST file Compact software compatible to compress multiple PST files? Yes, PST Compact Software is able to downsize multiple PST files. What is the need to shrink PST file? With growth in data file size, Outlook becomes slower and after a maximum permissible limit, increase in file size causes PST to be corrupted. Compress PST Files software is the best solution to overcome this problem. It removes/compresses/saves attachments in order to downsize PST file and improve Outlook performance. Is this PST file compress tool compatible to the Windows 8 OS environment? Yes, Compact PST files software works smoothly with Windows 10, 8 and all its below versions of the OS. How long does it take to compact a PST file in Outlook? It depends upon the size of your Data file. But usually, PST File Compact tool shrinks the file in a very short time span. Can I compress or reduce PST file without Outlook? No, Outlook installation is necessary to run this Compress PST Files tool. It should be installed and configured properly on machine. You can install any version of Outlook (32 bit). Can I compact bulk data files using this software? Yes, you can add and process multiple PST files to the PST Shrink tool at a time and in a very short duration it will show you precise results. Does This PST Compact Software decrease the size of PST file? Is there a size limitation set for the Outlook data file by the PST File Compress tool? No, software can decrease Outlook PST file of any size without showing any performance issues. It can compact both ANSI & UNICODE type PST files. Does software make any changes to the original PST file? No, Compress PST software only reads the original PST file & it does not produce any type of changes in this source PST file. Is there any chance of data loss involved while using this software? No, PST Compact tool is built with the best set of algorithms & latest technology so there is no chance of data loss involved with the usage of this tool. With the absence of malware, spyware, or adware along with no performance risks involved, it is completely safe & secure to use this tool. I used SysTools PST Compress tool for the first time ever and I am really satisfied with the results. I used the tool to shrink my 20GB PST file and it just reduced the size in very short time span. I would like to thank the developer team. PST file shrinker is the perfect tool that I was looking for. It works flawlessly to compress PST file without losing any data. Totally satisfied with the results. Cheers to the developers! I am completely contented with the performance of this software to Compact PST files. The tool got me rid of all the trouble that I was having due to my large Data file. And the best part is that I didn’t lose any data. Thanks Guys! I was having a really bad time managing large PST files in my Outlook. This tool is the best choice to compress multiple PST files at once and also saved me a lot of time. I’m really impressed with the efficiency of this PST file compress tool. PST Compact Tool is the best choice for those users who want to reduce their Outlook data files without any hurdles. This tool works with ease in order to shrink PST file. Had an amazing experience using this Compress PST Files Tool. It worked really well for me. I downsized all my data without any modification. Thanks to the developers! This Compact PST files tool helped me a lot whenever I had to share an important file through the network connection. Thank You! We are really impressed with the preciseness of Shrink PST tool. It helped us convert multiple number of PST files at once which was quite time saving, thanks to its Add Files and Folder facility. I was having a lot of problems with my large PST file library, I came across this PST Compact software while surfing on the internet. All my efforts made upto my expectations to compress PST files!! Worth it !! Copyright © 2007-2018 SysTools® Software. All Rights Reserved.